Here we present you this small cardboard tube packaging box for essential oil in small bottle, like 5ml/10ml to be served as gifts or testing samples. As essential oil are valuable and their bottles mostly fragile, the package need to be of high-end material as well as good finishing. That is why we choose 350g colored cardboard as the main material of the package and decorate it by same single chrome paper, and put white EVA inside as protection. With such good protection you can be sure of the safety as well as attraction to the customers. The box has two layers, the outer one is the cardboard part, and a thick EVA ring inside corresponding to the size of bottle to be contained. On the surface, we apply full color printing to the patterns and gold hot stamping to the logo. 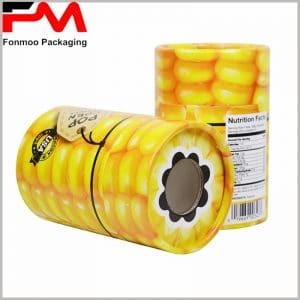 Professional manufacturer as we are, we can provide you any customization for your needed tube packaging box. Just get in contact with us and tell us what your needs are, and let us bring out your ideal small cardboard essential oil packaging tube box.